I’m a worrier. Surprise. Surprise, right? Last night in my Ladies’ Prayer Group, we discussed the topic of worry and how God has called us NOT to worry. After reading through Matthew 6:25-34, I felt a slight sense of guilt. I feel like since becoming a mother almost 13 years ago, I have worried more. As the years have gone by, my worries have evolved and shifted. In the beginning I was worried I would not be a good enough mother to Gavin. As he got older, I worried for his safety. Now I worry about the world all three of my children are growing up in. I worry about if I’m teaching Gavin the things he will need to know when he moves out on his own one day. We are called NOT to worry though. So why do I worry about my children so much? Last night, I mentioned Ryker and his lack of fear. Ryker doesn’t worry about anything. He will climb on top of an end table or try to jump off of the couch. He runs as fast as he can through all of the toys in the living room with no fear of falling. Ryker does not worry. Ryker is a child… a child who knows no matter what happens, Mommy or Daddy will kiss his boo-boo and “fix it”. This is what God wants us to understand! There is no reason for us to worry. He will be there. He has it under control. 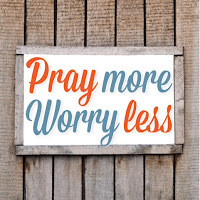 “Can any one of [us] add a single hour to [our] lives by worrying?’ (Matt 6:27). No. The key is to have faith that God is in control of a situation. In Matthew 6:34, we are called to “not worry about tomorrow, for tomorrow will worry about itself. Each day has enough trouble of its own.” What do we accomplish by worrying about tomorrow? Personally, I accomplish absolutely nothing. It is a waste of my precious time for me to worry about things I have absolutely no control over. I still find myself worrying though. It is no surprise I feel stretched very thin from time to time. Between keeping up with the twins, maintaining a household, being a wife, and co-parenting a preteen I wear many hats and have many important jobs. Right now, my heart is so consumed by my worry for Gavin and our relationship. He is at an age where I have to start letting go and allowing him to fail on his own. I cannot hover as much as I have in the past. If I want him to grow into a responsible adult, I have to start letting go. I have tried so hard to just cover him in prayer for the last few months. It might just be a phase, but I honestly feel like I’m losing him. I feel like my time with him is so so precious; however, he is at the age where he can decide what he wants to do (within reason). I worry he will resent me one day. I worry he and I will not have a very close relationship. I worry he will decide he wants to live with his dad permanently. 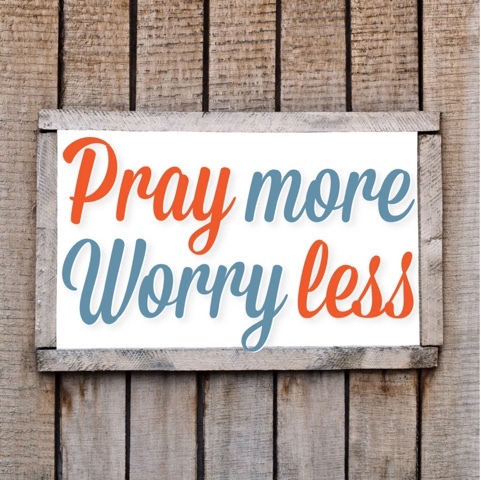 This week, I am praying for God to just take those worries away. I pray He will help me face the challenges I have ahead of me as I try to co-parent Gavin. I pray He will give me the strength and understanding to accept the things I have no control over. Girl it's tough!! MY 18 yo step son lives with us (along with our 2month old) and he is a senior, it doesn't get easier! But like you said they have to make some of their own decisions and learn some lessons along the way. We just pray it's not something that would affect their life long term in a bad way. Prayers for you!